Pennsylvania Auditor General Eugene DePasquale hosted a public hearing on how the state is responding to climate change on Penn State's University Park campus on March 14, 2019. It's the first of three hearings DePasquale plans. 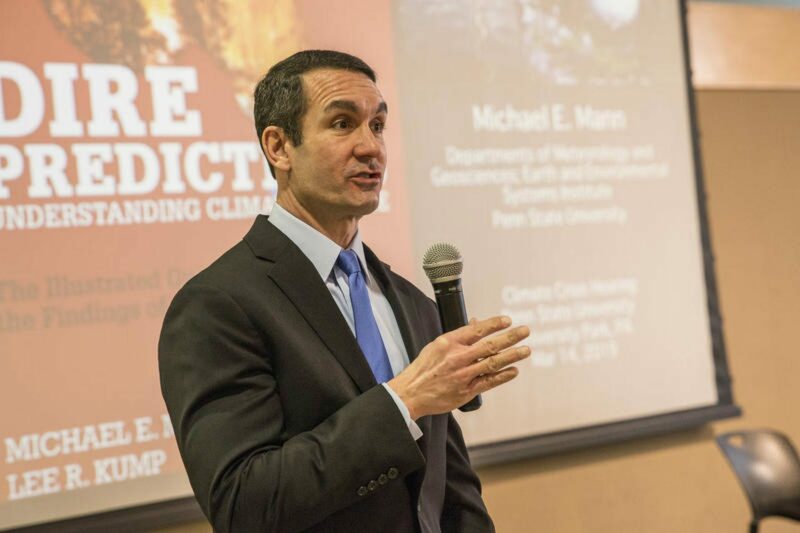 Pennsylvania Auditor General Eugene DePasquale hosted a public hearing on how the state is responding to climate change on Penn State’s University Park campus on March 14, 2019. It’s the first of three hearings DePasquale plans. DePasquale listened to testimony from local officials and agriculture advocates during the hearing. Panelists came from PennFuture, Borough of State College, Pennsylvania Association of Sustainable Agriculture and the PA Farm Bureau. Penn State Distinguished Professor Michael Mann gave a presentation on the impacts of climate change around the globe and in Pennsylvania. Pennsylvania saw a record level of rainfall last year. According to the National Weather Service, the state had nearly 64 inches of rain in 2018, 50 percent more than normal. The intense precipitation has already prompted some Pennsylvania farmers to change their farming practices, which could make it costly to maintain soil health. Mann said that changing weather patterns such as extreme heat waves and short-term droughts are going to threaten agriculture in the state. He advocated for lowering carbon emissions and moving from fossil fuels to renewable energy. The state’s Department of Environmental Protection publishes a climate action plan every three years. In the latest update in 2018, the DEP called for an 80 percent reduction of greenhouse gas emissions by 2050 from 2005 levels. DePasquale said his report will “get an even broader perspective,” compared to the DEP reports. He plans to host two more public hearings in Pittsburgh and Philadelphia, and expects to publish his report this summer.